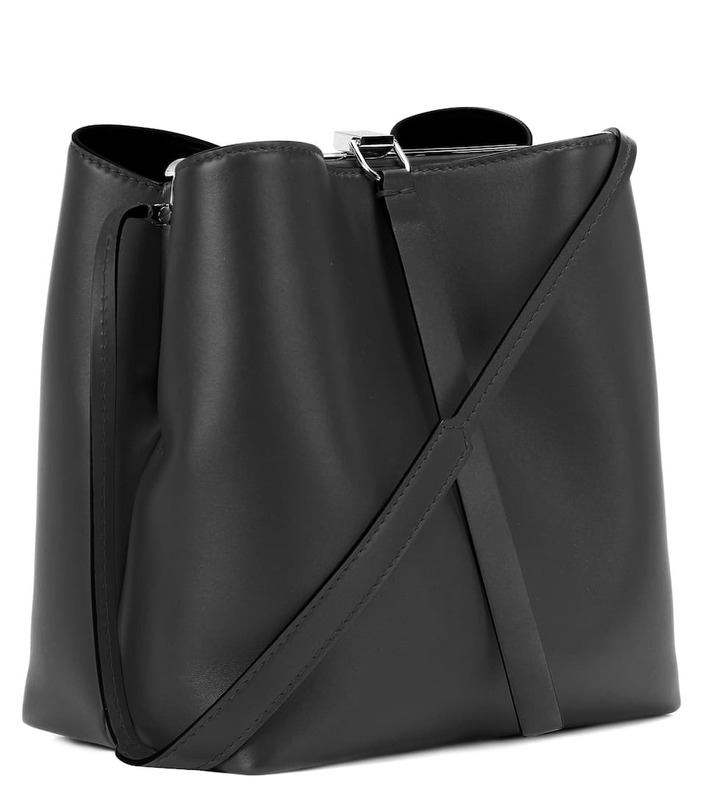 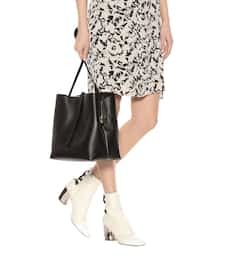 Proenza Schouler masters the art of minimalistic style with the Frame leather shoulder bag. Taking inspiration from a classic bucket silhouette, this angular design launched as part of the SS18 collection. 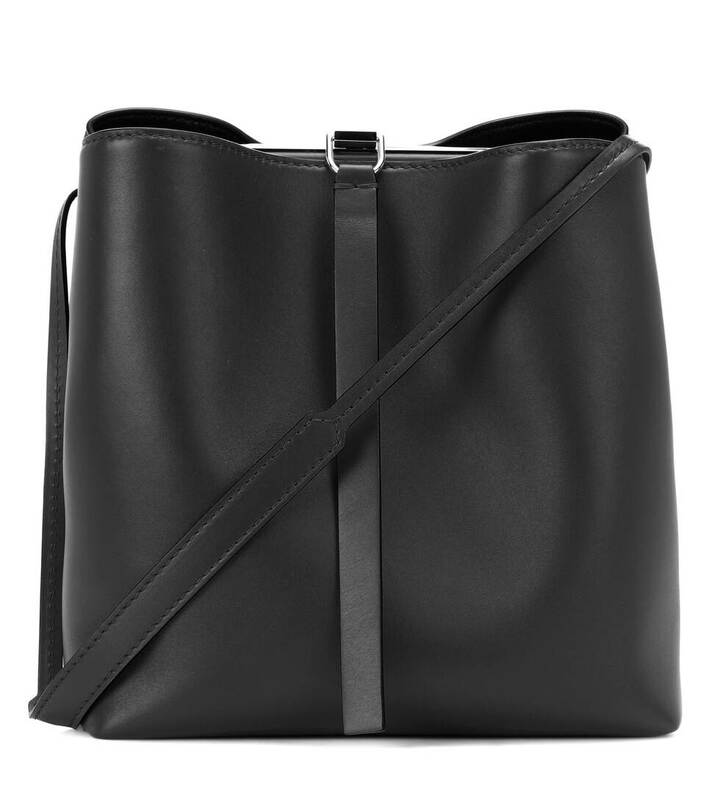 Crafted in Italy from sumptuous nappa leather, it is rendered in a classic black colourway and finished with painted edges for an ultra-cool touch. 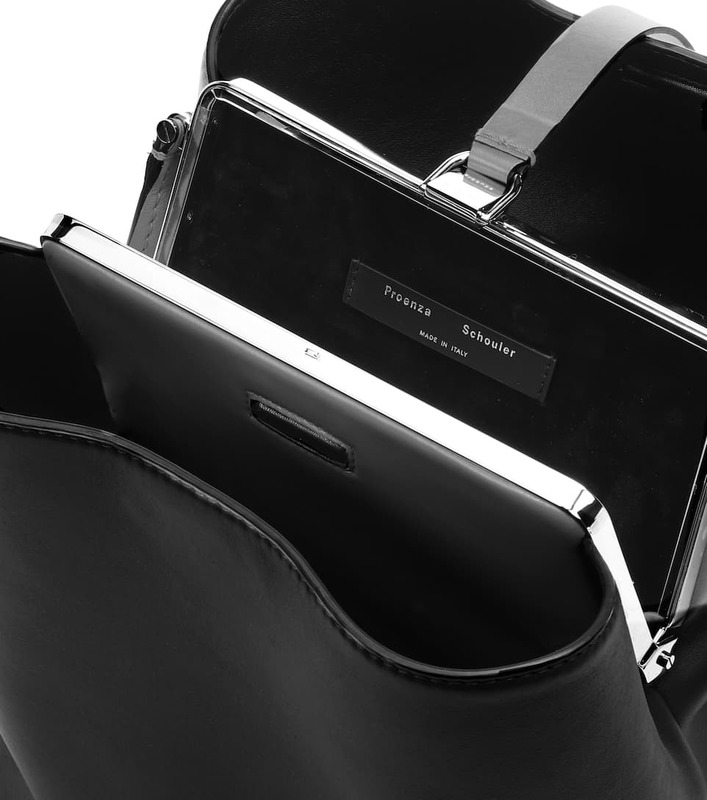 Note the concealed interior clutch with snap closure for stowing your everyday essentials.